The dentists at Southridge Dental Centre have been serving the Prince George community for decades. We know what you want in dental care and work hard at satisfying your dental needs. We pride ourselves on offering you and your family the quality care you need. 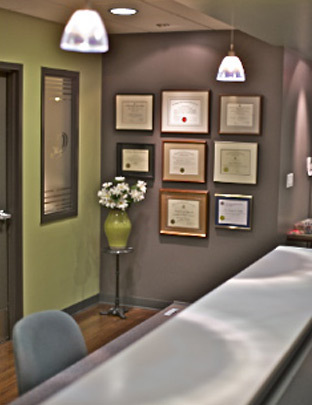 We offer a variety of amenities to ensure that your visit to Southridge Dental Centre is a positive experience. With a play area for your little ones, free parking, warm blankets, and portable DVD players; our office is warm, relaxing and home-like. If you are looking for a dentist that has years of experience, quality care and that little extra touch that makes you feel welcome, call us today! Southridge Dental Centre is located on O'Grady Rd. in Prince George, BC. Come and visit us today!